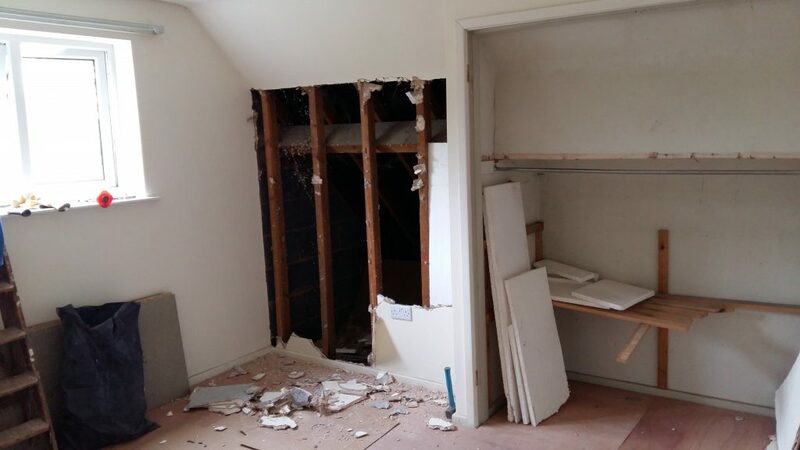 I have upgraded a bedroom in a dormer bungalow with no insulation in the sloping ceiling. The structural engineer agreed a system by which the purlin could be removed so that the stud wall could be moved further out and increase the floor area for the room. 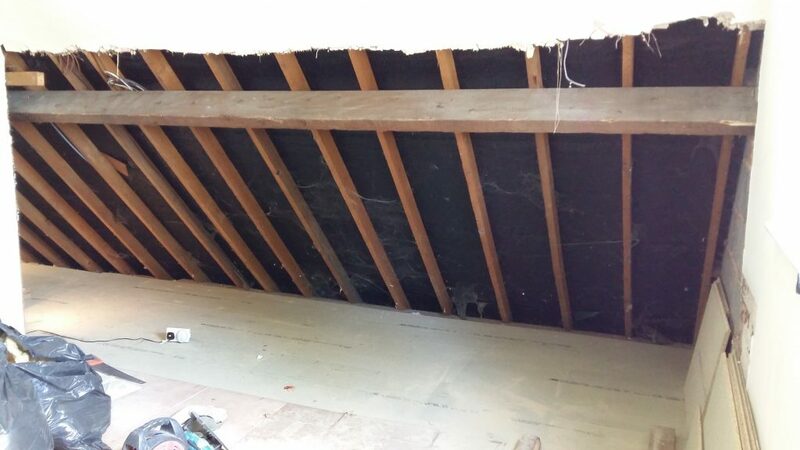 There is 60mm celotex type insulation board fitted between the rafters still giving a decent ventilation gap between roofing felt and boards and 70mm insulation board fitted below the rafters within the cupboard space. A triple glazed roof window was installed on the garden side of the house. 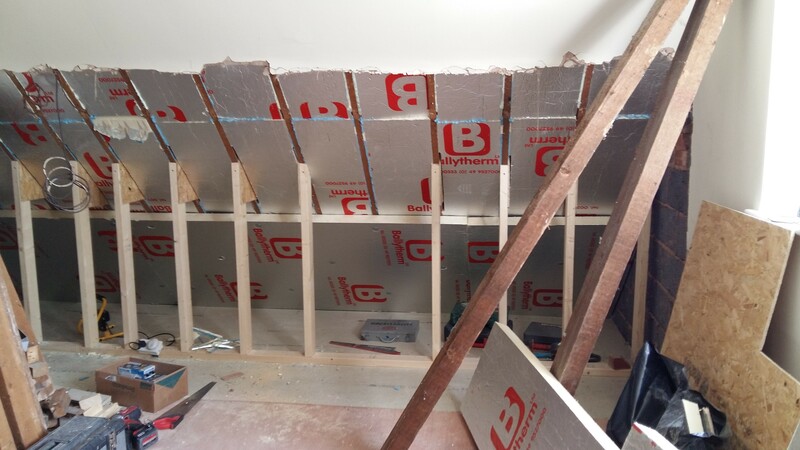 The sloping ceiling above the cupboard space was fitted with 55mm insulation backed plasterboard. 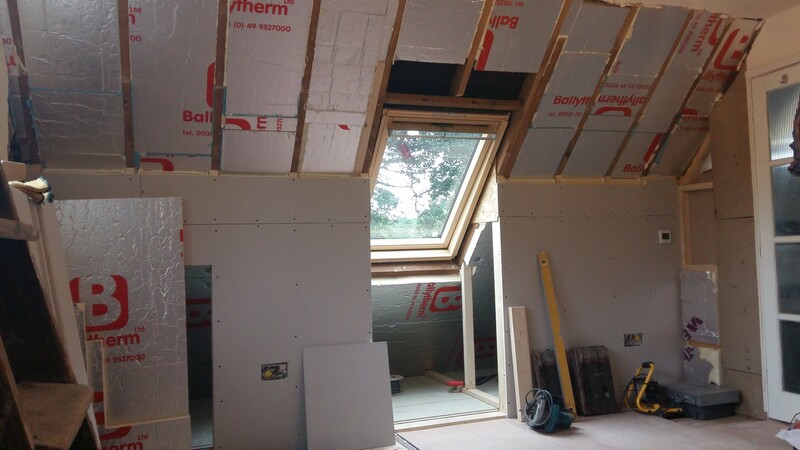 The room has been enlarged by 0.8m in width, is lighter and much better insulated. 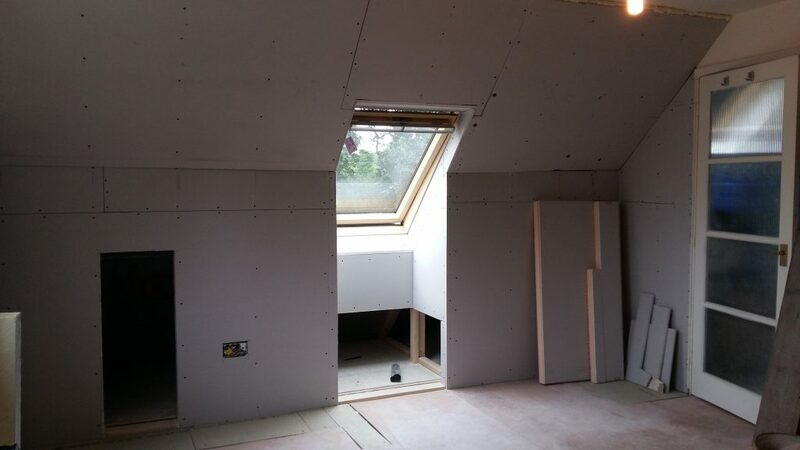 The area below the window will receive a window seat after the plastering has been done and a door will be fitted to access the storage space under the insulated roof.